If you’re struggling to decide what cosmetic or restorative treatment will give you the flawless smile you’re looking for, take a few moments to explore our smile gallery. These before and after images will give you a better idea of the dramatic results that are possible with even the most complex treatments available at Pelican Landing Dental. Call our Bonita Springs dentists and team to find out more or schedule an appointment. We are happy to treat patients from surrounding communities and all of Southwest Florida. 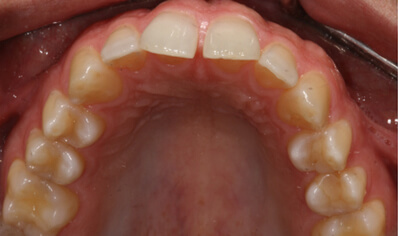 This patient arrived in our office stating that he had always hated the gap between his upper front two teeth. 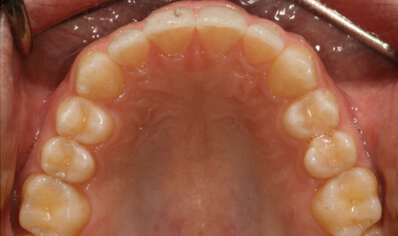 After roughly only 6 months of wearing Invisalign, the gaps were closed and the teeth were optimally aligned for esthetics as well as function. This patient arrived at our office and stated "I know I grind my teeth. Over time they've become smaller and I'm self conscious of them. As a result, I never smile". 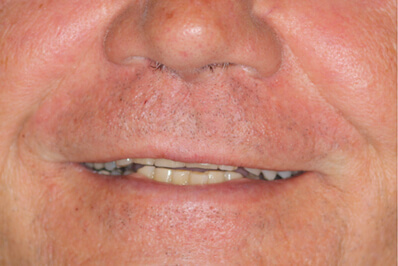 Here a full dental reconstruction using crowns and veneers allowed us to correct the bite, lengthen the teeth, and improve the shade! After treatment the patient said "I am gonna have to learn to smile again". 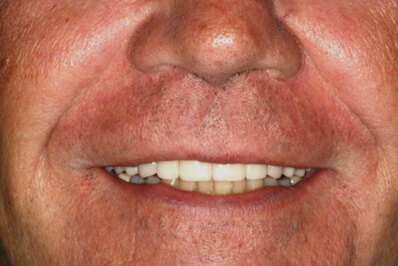 This patient's chief complaint was "I don't like the look and shape of these old bulky crowns on my front teeth". Crowns and veneers were used to provide an optimal esthetic result. We were so happy to hear the response; "I just love my new teeth!" This patient arrived in our office stating "I really don't like my teeth so I don't smile". This is often what we hear. To correct the situation, we used crowns to balance his bite and restored the teeth to the optimal size, shape, and color. It is roughly five years later and all his teeth look as good as the day we finished!